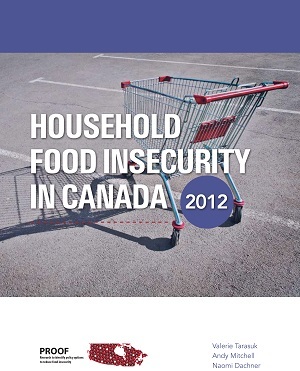 Almost 3.9 million Canadians experienced some level of food insecurity in 2011. This marks an increase of over 450,000 people since 2008. 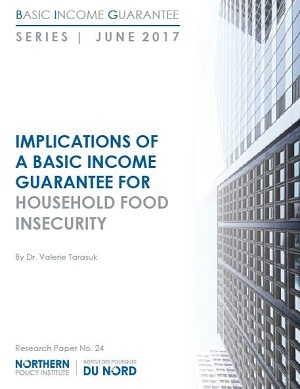 It includes 1.1 million children living in households that have worried about running out of food, made compromises in the quality of their diets, ate less than they felt they should, and possibly gone without eating, all because they did not have the money to buy more food. The seriousness of this situation, its impact on individuals, families, communities, on our health care system and economy over all, cannot be overstated. The problem is not under control and more effective responses are urgently needed from all levels of government. 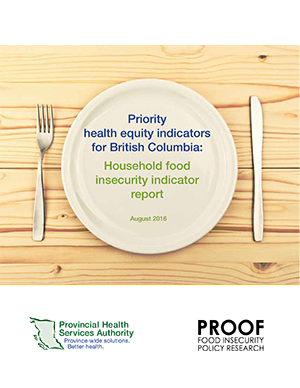 The release of this report marks a first for PROOF, a Canadian Institute of Health Research (CIHR) funded research program launched in 2011 to identify effective policy interventions to address household food insecurity. Public awareness of the extent and impact of household food insecurity is low. 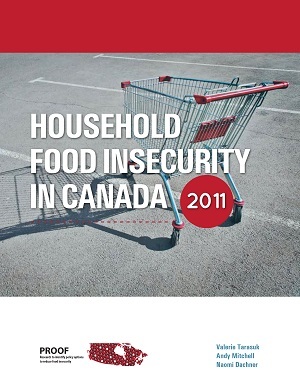 While there is substantial information from the Canadian Community Household Survey and other national sources, the information that is most widely publicized is based on food bank use, which cannot alone define the nature and extent of the problem. This report is one part of our mandate to bring new levels of information and analysis into the public domain and new tools for effective action on this major Canadian public policy issue. 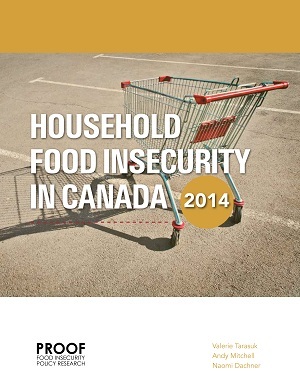 Understanding the personal and societal costs associated with this problem will, we hope, help to build the business case for more effective, targeted interventions to prevent food insecurity and inform the development of smart, responsible, cost-effective public policy. The cost of inaction is simply too high.